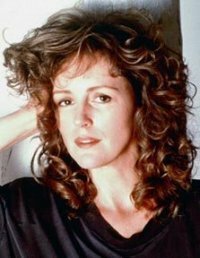 This is a website dedicated to probably the greatest actress of all time, Miss Bonnie Bedelia! She can currently be seen starring in 'Sordid Lives: The Series' as Latrelle, although she has previously had major roles in many films, including the original Sordid Lives, Heart Like a Wheel, They Shoot Horses Don't They?, and Berkeley. However, most people will recognise and love her for her scene-stealing performances in both Die Hard and Die Hard 2 as Holly McClane, John McClane's long-suffering wife! Our love for Miss Bedelia started almost three years ago in 2006, whilst watching Die Hard for the hundredth time. Once the credits started rolling, we realised that everyone's favourite character from the film had an amazing name... Bonnie Bedelia! And it escolated from there. We started the original facebook group soon after, and last year we revealed our wonderful and stylish range of 'We Love Bonnie Bedelia' clothing and accessories, which has been a great success. We hope once you have explored this website, you too will realise how wonderful Bonnie is!